Angkor Wat An architectural masterpiece and the most famous Cambodian temple, Angkor Wat consists of a complex and vast layout of towers, galleries and courtyards surrounded by a moat. 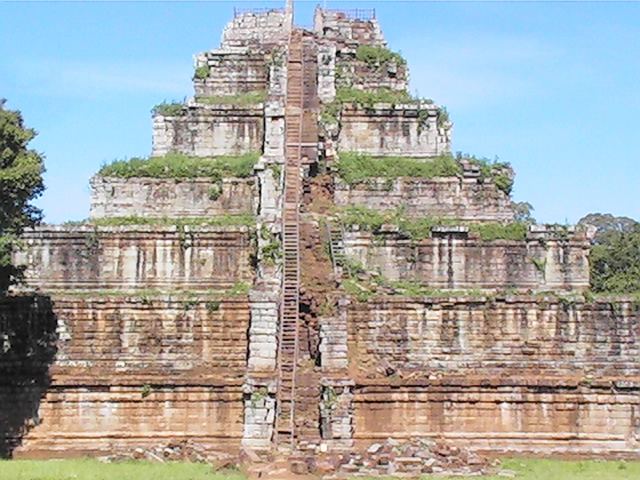 It was built as a Hindu temple in the early 12th century and is only 4 miles from Siem Reap. Angkor Thom Just beyond Angkor Wat lies "big Angkor," a walled city of 360 acres enclosing palaces and temples including some of the most well known: Bayon, Phimeanakas and the terraces of the Elephants and Leper King among others. Bayon, a Buddhist temple at the exact center of the city features hundreds of sculpted faces looking out in every direction as is amongst the most well known images of Cambodia. 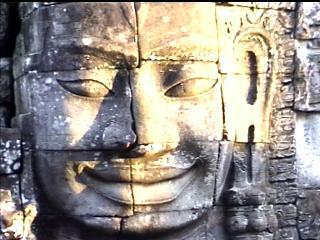 Angkor Thom was built in the late 12th century. Around Angkor Ta Prohm, Preah Khan, Neak Pean are some of the must see temples in the vicinity of Angkor. But besides these there are dozens more that are well worth seeing as well. Rulous Group This group of pre-Angkorian temples is located 20 minutes east of Siem Reap. Phnom Krom 9th Century Mountain top Temple overlooking the Tonle Sap Lake. Great views of the expansive lake and countryside. Banteay Srei Fabulous miniature red sandstone temple 45 minutes north of Siem Reap, the 10th century citadel of women holds some of the highest quality and best preserved stone carving in all of Cambodia. Phnom Kulen Cambodia's most sacred mountain, Phnom Kulen has jungles, a holy waterfall and reams of ancient carvings and temples. 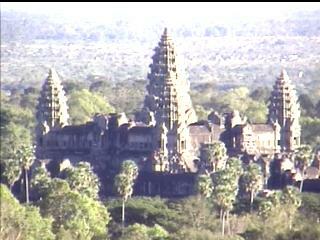 It is located 30 miles North of Siem Reap. Kbal Spean Also known as the river of a thousand lingas, visiting Kbal Spean involves a hike up a jungle clad mountain to the site of hundreds of ancient lingas and other images carved into and along a flowing stream so that they are actually visible through the water. There is also a waterfall. 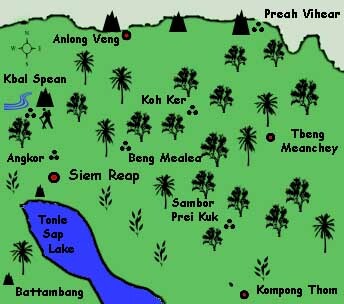 Kbal Spean is 30 miles north of Siem Reap on the same road as Banteay Srei. Beng Mealea Located near Koh Ker in Preah Vihear Province, Beng Mealea is a remote overgrown temple with a floorplan similar to Angkor Wat, but in a lush jungle setting. Exploring the temple involves climbing over collapsed passages, through vine covered doorways and around massive trees growing inside the temples itself. Preah Vihear Temple The temple in the sky, Preah Vihear sits on a high cliff edge overlooking an expansive forest below. Built in the 10th century, Preah Vihear rivals Angkor in its awe-inspiring beauty and is unrivaled in its natural setting. Located near the Thai border in Northern Cambodia, getting to Preah Vihear involves traveling along some tough roads. Koh Ker The former capital of the Angkorian Empire, this 10th century city holds some of the most interesting temples in Cambodia, including a 150-foot pyramid that once held a giant linga and many other spectacular sights. Inaccessible until only recently, Koh Ker can be reached in less than 4 hours from Siem Reap. Banteay Chmar Located in Western Cambodia near the Thai border, Banteay Chmar is a vast overgrown temple complex that has largely collapsed and for years suffered heavy looting. Nevertheless, it is still an interesting site to explore. 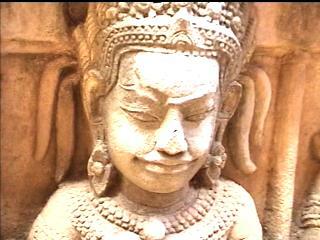 Sambor Prei Kuk An ancient city older than Angkor, 7th century Sambor Prei Kuk holds hundreds of temples. Located deep in the forest, visiting Sambor Prei Kuk is as much a jungle hike as an archeological visit. Phnom Da A hill-top temple located in the center of a flood plain, Phnom Da can only be reached by an exciting boat trip in the wet season. 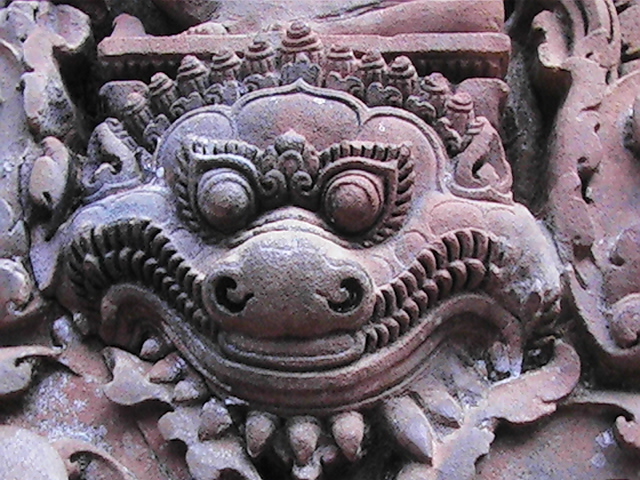 Angkor Borei, an 8th century city, is located nearby. Phnom Chisor Located on a mountain overlooking rice-fields in all directions, Phnom Chisor is an 11th century temple with interesting carvings. 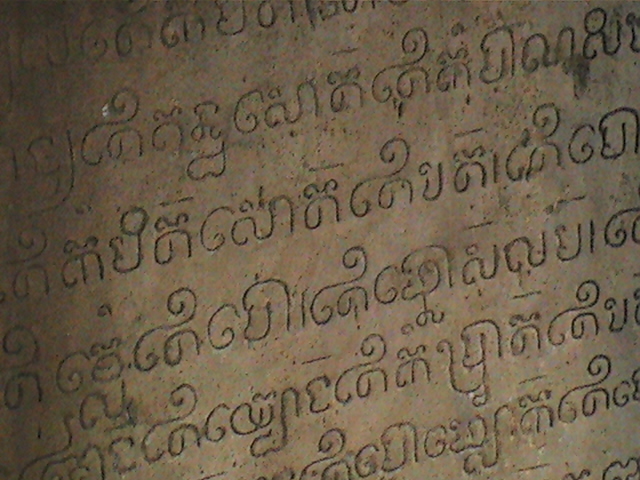 It is located near Phnom Penh and involves a 15-minute climb.